PWM signals are often used in robotics for the purpose of controlling the DC motor speed and to drive the servo motors. Most of the microcontrollers have the output voltage of 5V. When the PWM signals are generated from these controllers, the average output voltage for maximum duty cycle will be around 3.3 to 4.2 V(approx). This voltage level cannot drive a 5 or 12V motor efficiently. Hence the voltage level must be boosted with appropriate external circuits. Following is a simulation that demonstrates how to increase the voltage level of the PWM signals generated from a microcontroller. Here, I have used CCP module of PIC microcontroller to generate the PWM pulses. The DC motor is driven by the MOSFET based on the PWM signals. 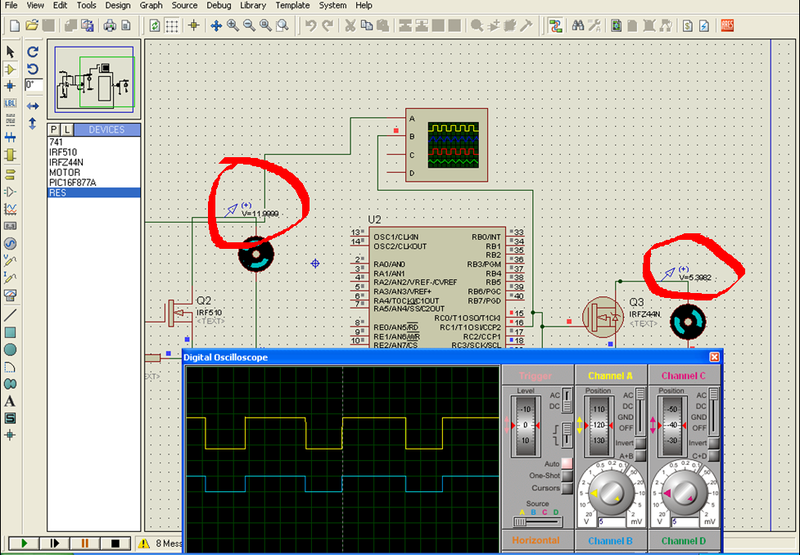 From the video, you can see the voltage level from the microcontroller and the boosted voltage in the oscilloscope. It can be noted that only the amplitude is increased and the duty cycle remains unchanged.